If, like me, you spend a lot of time poring over the latest in Canadian tech, chances are good that you see both the huge potential of our technology companies and the simultaneous challenge: too often, they’re being held back by Canada’s scale-up deficit. This, of course, isn’t news. In all the years I’ve participated in this sector, it’s been an ongoing challenge—one that has been the topic of countless discussions, panels, and debates. It’s an issue that has long challenged our innovation and technology sectors, and though it’s been talked about at length, it’s a conversation that deserves our full attention until we get it right. 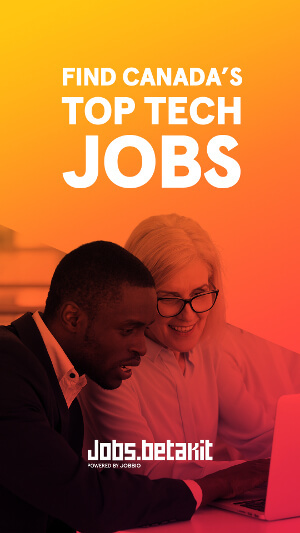 PwC Canada’s recent MoneyTree report shows that our technology sector has seen a significant increase in funding deal volume in the last year—up 30 percent from 2017. But when one reads between the lines, it’s also clear that our homegrown tech companies are still largely stuck in a middle ground. In fact, of all the companies raising seed or early-stage funding during 2015-2017, only roughly 10 percent of them raised expansion or later-stage funding during 2016-2018. Even if we leave room for successful shops that don’t need to raise further VC, that still doesn’t account for all of it. Many stall, naturally. They don’t continue to climb the curve and thereby miss the opportunity to hit scale. Of course, some companies shouldn’t scale and falter for good reasons. But many should and, for one reason or another, don’t. As a result, it seems that Canada has become a launch-pad for early-stage companies, but, with a few notable exceptions, we are largely still lacking the later-stage success stories we see in many other ecosystems. Addressing this begins with challenging our very definition of scale. When we talk about Canada’s scale-up dilemma, we tend to focus on the obvious: raising capital, multiplying sales, and increasing market share in large, global, addressable markets. All of this is important but, in my experience, it’s only a part of the equation. Whether founders are on their first venture or their fifth, early-stage companies face many challenges to growth, and mature technology ecosystems support them by ensuring they see the bigger picture, beyond raising capital and increasing sales. It’s time to redefine our collective understanding of what scale means, and arrive at a new recipe that touches on all the moving parts companies need to master if they’re going to level-up. To redefine scale, we need to take a closer look at the state of our ecosystems, which can become global hubs for highly skilled digital, creative, and leadership talent, and at the roadblocks that are currently preventing companies from scaling up. Let’s start by looking to the key stakeholders who will inevitably play an important role in shaping the future of the tech sector, including our government, VCs, and the public and private sector buyers of technology. Government, of course, has several levers to pull when it comes to helping companies scale, like shaping policies and regulations that work to benefit our technology sector, while ensuring tax dollars are well spent through targeted incentive programs matched with data and IP policies that achieve the right balance. Government(s) of all levels need to re-commit to working with Canadian technology companies at all stages of their evolution. They need to commit to procurement policies and practices that produce a real and predictable market for our tech companies to address and sell into. Federal and provincial governments of all stripes have made promises in this regard, but the velocity of, and commitment to, local sourcing hasn’t yet translated for our entrepreneurs. Our government can also work to modernize our federal and provincial processes that foster the development and retention of IP, and continue to evolve tax incentives that support later-stage companies. These improvements would also encourage greater global investment in the Canadian ecosystem. According to the World Economic Forum Executive Opinion Survey, two of the most problematic factors of doing business in Canada are inefficient government bureaucracy and tax rates. Data regulations and privacy policies, too, are of particular focus for governments worldwide. Ours can help us ensure that Canadian technology shops want to stay here, to do their important work, while being intentional about our data protection policies. After all, scaling does not mean scaling by any means, and protecting our data sovereignty is important. Beyond government support, we should also look to VCs and other sources of private capital to enable companies to scale. Here, we often turn to Silicon Valley for inspiration, as investors there tend to be more willing to place big bets and write big cheques. Canada can learn from this. Any investor is going to have more misses than hits and, without higher risk tolerance, we won’t be able to finance the technological sophistication that will propel us to the next level. According to the 2019 Canadian Startup Outlook Report, 56 percent of companies state that their long-term goal is to be acquired. There is good news for Canada: CPPIB recently announced investments of $1 billion in venture funds, much of which will focus on technology companies. I’d love to see our wider investment community follow their lead. Funds like Novacap, Georgian Partners, OMERS Ventures, and more occupy the unique position of helping shape the future of Canada’s innovation economy. They’re already investing in some great home-grown companies, and their continued willingness to take bigger risks on innovative, growth-stage companies will help create the culture we need. 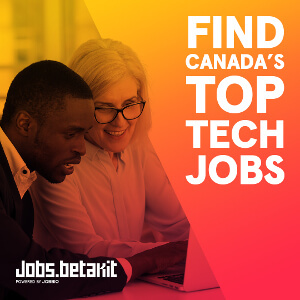 There’s even more good news when it comes to talent in Canada: we’re well positioned to become a hub for top tech and innovation talent. Our immigration policies, like BC’s Provincial Nominee Program and the federal Global Skills Strategy, are helping to draw the global talent stream north; our colleges, universities, and research hubs are world-renowned. Still, as I’ve seen with the corporate boards and senior leadership teams I’ve been involved with, companies need seasoned global talent if they want to become truly global players. It’s time we cast a wider net, finding ways to incentivize governance and executive talent from technology hubs like Boston, New York, Shenzhen, Dublin, Tel Aviv, and beyond to help Canadian companies reach their next stage and deliver on the promise of scale. Established Canadian corporates have a big role to play here too. While our market is small by comparison to our neighbour, there is big buying power in our financial services, energy, retail, healthcare, automotive, and other major industries. Without a hint of protectionism, we can look to the Canadian innovation and technology markets each and every time we are procuring a solution, looking for new technologies or even looking for a problem to solve. In fact, according to the 2019 PwC annual CEO survey, 52 percent of Canadian CEOs surveyed see collaboration with start-up entrepreneurs as a key growth strategy. Another way for companies to level-up and scale quickly is to reconsider some elements of the growth strategy playbook. Not surprisingly, according to the 2019 Canadian Startup Outlook Report by Silicon Valley Bank, 56 percent of companies state that their long-term goal is to be acquired. However, we should consider a shift in mindset that focuses on growth by acquisition rather than looking primarily at exit strategies or organic growth. This approach works well in dynamic sectors like fintech and healthcare. I’ve seen companies enjoy success by expanding into international markets or adjacent spaces, growing horizontally through acquisitions. Our tech leaders need to be thinking long-term so that, whether they’re building to grow, to expand, or to sell, they have the right structures and systems in place. I am hopeful that these thoughts are provocative and assist some in considering strategies and actions that will lead to the scale Canada needs. True scale is critical if we want our technology companies to drive our GDP, provide high-paying jobs, and spur the innovations that will elevate us on the world stage. This article was originally published on LinkedIn. Photo courtesy @dingle. Ppl who run US want to keep Canada to its’ size. They control Capital supply in Canada. They kill good ideas or steal to give to their counterparts in usa. Canadians also don’t conside merit and discriminate profusely. They are big losers who only whine and leg pull. They want to work in Government only where they don’t have to do anything and keep leaching on taxes. Funding in small companies is not done on merit. That is reason thete is never and there will never be success like usa.